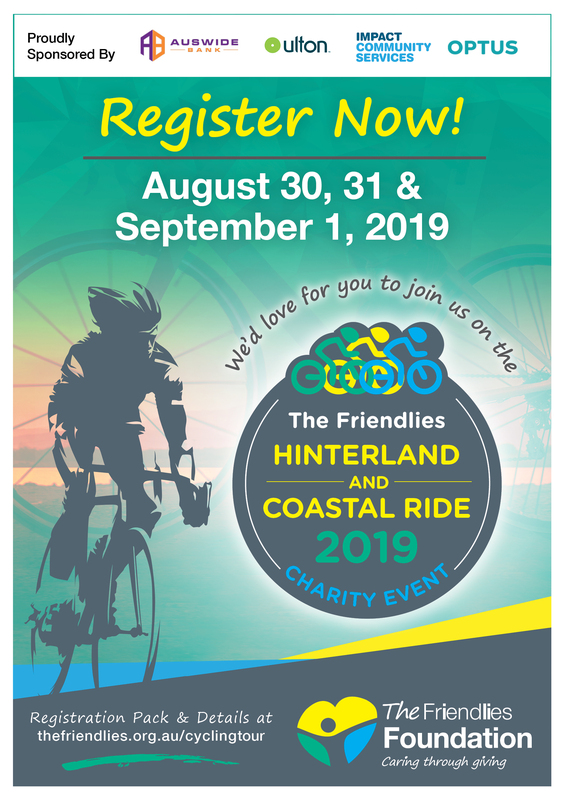 The Friendlies Hinterland & Coastal Charity Ride is a charity cycling event to raise funds for The Friendlies Foundation. In 2019 it will be held over three days – August 30, 31 and September 1. This fully-supported three day event will take in the beautiful sights of Bundaberg, Biggenden and Woodgate. Two groups will set out for the same destination each day, with each group taking a different scenic route.